All of these seem to have gone down reasonably well with a good price point and decent performance. Admittedly they are designs in collaboration with companies such as DUNU among others and not 100% in-house creations but they did ‘break the ice” so to speak in putting FiiO’s name out there as an ‘IEM’ company. However, with the launch of the F5 recently at $64.99 FiiO seem to be pushing a more focused vision. This vision got expanded considerably with the recent launch of their new X7 Mark II, X3 3rd Gen and the Q1 Mark II DAP and portable DAC/Amp combos. 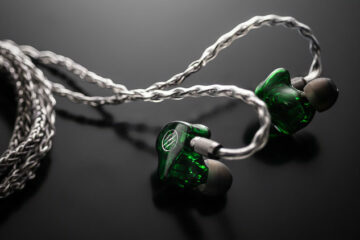 This probably makes this IEM one of the cheapest around that sports a properly balanced cable option. Quite a lot actually. 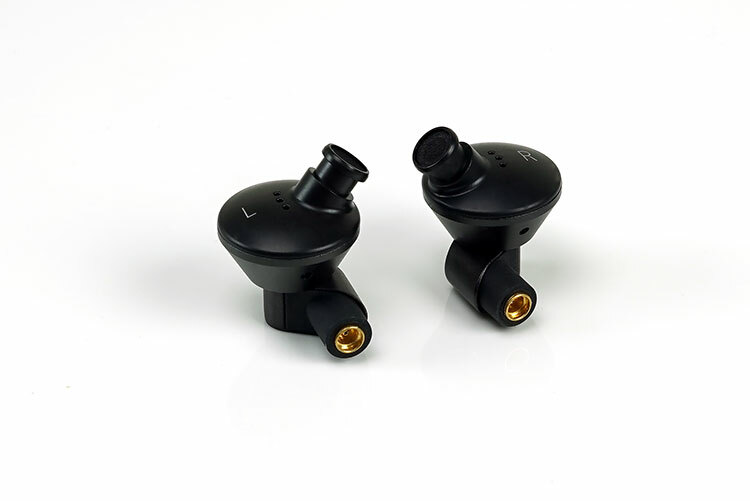 The F5 is the first detachable cable IEM from FiiO (MMCX), hence the ability to offer a balanced cable option. They have kept a single unbalanced cable in the package also for regular smartphone and single ended DAP users but now the pitch is “Go Audiophile!” which ties in nicely with their new range of DAPs sporting a balanced connection such as the FiiO X3 Gen 3 just announced. MMCX also means a true aftermarket cable capability which is a nice pitch to ‘modders’ out there and those with different or preferred cables with MMCX terminations who like to tinker even further and push the limit on their existing IEMs. In continuation also with their Audiophile pitch, the F5 comes complete with “Hi-Res” audio certification from the Japan Audio Society which is an almost ubiquitous label for most modern headphones and sources in the market these days and up there with “Made for iPod”. Speaking on “Made for iPod” not only has the F5 received the valuable MFI certification to work 100% with iOS devices but it also comes complete with a switch circuit to Android capability meaning you do not have to switch cables or devices for full playback and voice call functionality. That is one selling point that I think many will find quite useful. The final pitch is the materials for the driver. FiiO has built the F5 driver with a titanium diaphragm which they claim will provide a better transient response than regular dynamic diaphragm as well as superior dynamics and a more balanced sound. The F5 design is unusual but eye catching. Essentially this is an angled design whereby the seal is achieved with a minimal insertion of the actual housing itself to prevent unwanted pressure and discomfort on your ear. As such there are three different section to the build to achieve that angular fit. The first is the stem and connector which has overlaps onto the top of the second circular dome section which houses the driver itself. The third is the angled long nozzle which is off-center on the base of the driver housing and almost on the edge. All together they create an eye catching layered design with an emphasis on the connector to nozzle length measuring no less than 25mm from the top to the edge of the medium sized silicone tip in use. From the top down you could easily mistake them for an earbud such is the width of the chassis and the angle of the nozzle underneath making it hard to see. With the default cable the F5 measures in at 21g which is reasonably light and is made from a mix of hard plastics and anodized and galvanized aluminum alloys. The alloy is on the outer shell and the plastics are used for the base with 3 fairly large driver vents right at the base of the nozzle. You will find another vent on the external side of the upper metal alloy casing. The nozzle is formed from the same hard plastic mold on the base of the F5 driver housing so it is unlikely to detach and fall away. The mesh on the nozzle is a deep laying on, say about 2-3mm from the top at least so watch out for wax and dirt build up when in use. 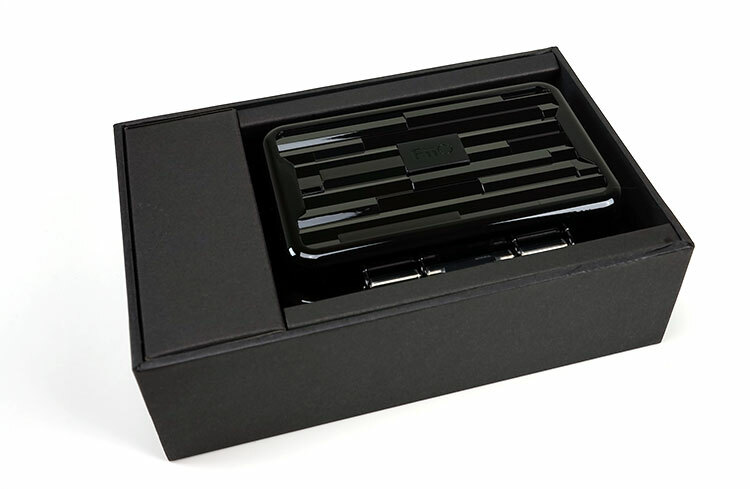 The entire piece is finished in a matte black and dark gray finish with clear left and right white labeling on the underside of the driver housing. 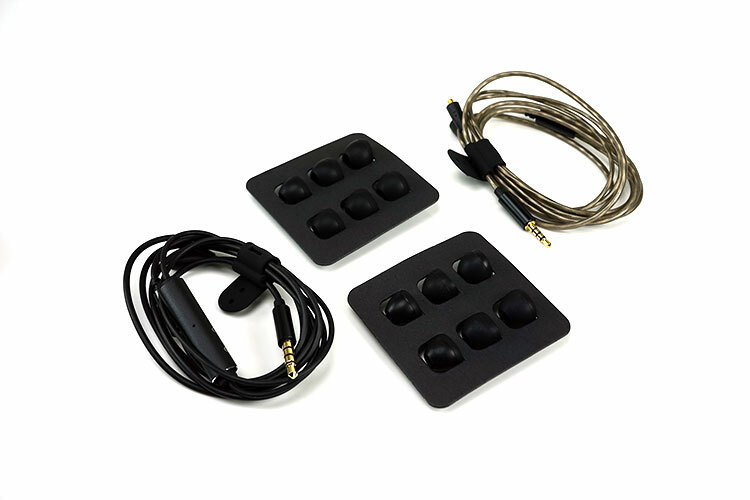 The MMCX connectors are also finished with a gold plating. The F5 comes with two detachable cables with gold plated MMCX connectors. The first is the unbalanced or stock black TPE coated cable 1.2m in length and terminated with a straight 3.5mm gold plated stereo jack. It is a 24 strand braided OFC cable with TPE used to protect from unnatural coloring from oxidization, corrosion, and aging. This is pretty much the default cable for those using an unbalanced DAP or 99.9% of all smartphones. 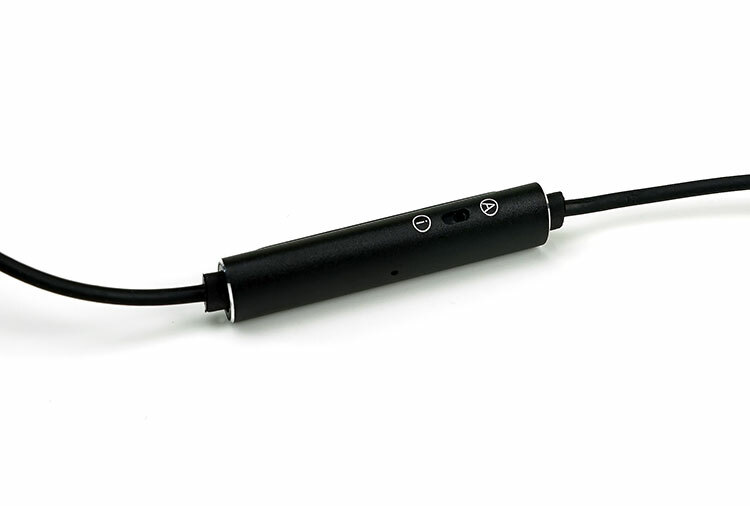 It also comes with a very neat inline remote and mic MFI certified module that has a simple switch at the back allow you to move from iOS to Android capability without ever having to change cables. A very efficient idea that will appeal to a lot of users out there. The second cable is a 2.5mm balanced 1.2m MMCX terminated cable which is also made with a TPE jacket and housing a 24 strand braided OFC copper wire. The difference internally though is the additional layer of 66-stranded copper wiring on top of the core for better shielding from ground noise and general interference which, with WiFi or BT becoming ever more present in DAPs, should be a benefit. The 2.5mm cable is easily distinguishable from the standard with its 2.5mm jack and a TPE jacket color that comes off as khaki green or olive compared to the black of the unbalanced cable. Now I believe the MMCX connectors have had a small tweak since these early units came out. On my unit, the MMCX connection is not that secure, leaving a small gap between port and connector and the snap a bit soft so they tend to part ways a little too easily for my liking from the main driver unit. Hopefully, this issue has been addressed in the final retail offering. The angular fit works a treat for my ears. The angle of the nozzle and tip means that the main body tends to hug the inside of my ear. Rather than stick straight out it creates a lower profile that sits flush in my ear and extending in parallel to the back of the outer ear with little or no pressure on the pinna, (cartilage at the base of the entry of the ear canal). Despite the fairly long stems of the F5 MMCX connectors, they do not actually push into the helix or antihelix ridges in a way that would create any sense of discomfort. They are designed to be worn straight down but I find them to seal better when worn over the ear. The good news is for glasses users is the low profile of the cable which tends to fall in behind the ear and wrap pretty tight meaning glasses should not provide too much of an issue. The tips supplied are all silicone single bore tips in small, medium and large size and come in plain black and colored stem variety (s,m,l). The plain black is a little suppler with a softer stem than the colored versions. 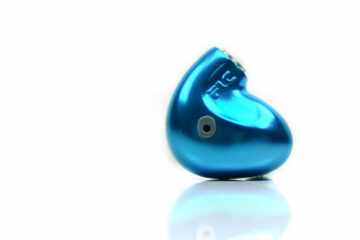 Overall the stock tips provide a level seal which is fair to average for a closed dynamic driver IEM. The multitude of ports both on the inside hard plastic shell and external alloy do allow a bit of background noise to slip in but if you have some aftermarket foams such as Comply or Mandarin hybrids they should seal better in your ear blocking out more noise. FiiO as always get the most out of budget product packaging and to be frank the F5 is one of their best offerings to date in that respect. The box steers away from their recent dalliance with white fused packaging and instead goes back to black which I think just ups the allure on the retail shelf a little. Inside you get a very neatly arranged single water proof hard case that contains both the tips and the driver units and to the base, you have a small cardboard box containing the two detachable cables. The case itself is big enough to take both cables, a selection of tips and the drivers with plenty of space to spare for silicone bags, a 3rd cable etc. The tips come in similar cardboard carriers as the SIMGOT EN700 BAss which means eventually they will fall away which is a shame but they look nice out of the box. 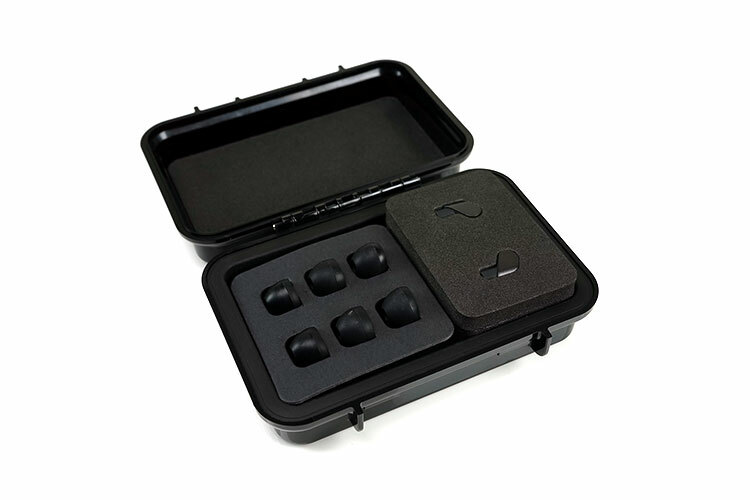 The drivers are encased in a very thick and well-insulated foam tray, also inside the hard case. 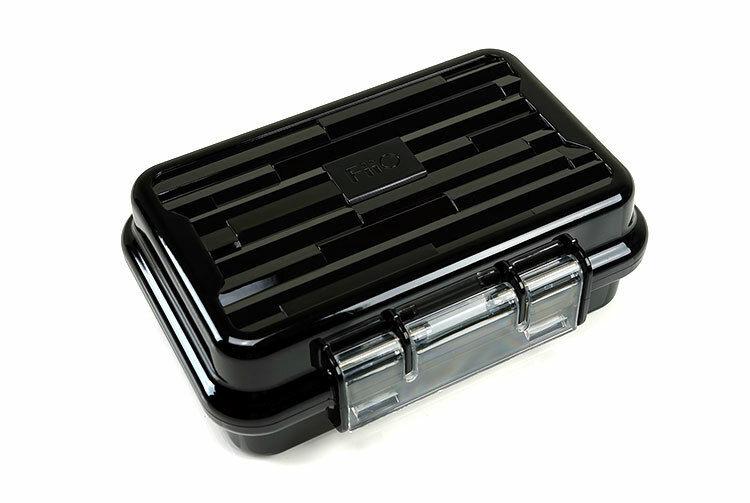 I like this new case from FiiO, it reminds me of Otterbox and Pelican cases with a nice reflective angular design though maybe not quite as rigid or durable, however, the element sealing is a real bonus. I believe FiiO have also cottoned onto the potential of the case and are now selling it as the HB1 as a separate accessory. The F5 has a natural to neutral tonality with a clean sounding presentation and a frequency response that is tuned slightly for musicality but nothing overly colored. Actually, I think FiiO have the response curve of the F5 spot on for quick immersive listening. There is just the slightest of low-end boosts, a linear drop to the lower mids for good instrumental clarity and separation, a slightly boosted vocal presence, particularly in the female higher pitches and an articulate but smooth top end delivery. That is about as good as it gets for an ideal curve at this price point for my money. I would stop short of calling this a v-shape, the mids are not that recessed to sound overly dark with a 2k bump in there on the vocals giving it a welcome lift. However, it does come across as mildly u-shaped with a welcome contrast between bass and treble that provides a bit of excitement and energy and a lower mid-section that falls slightly behind the vocal positioning. As such the F5 will come across as a reasonably spacious presentation with excellent width, average depth though not subterranean levels of rumble and a slightly rolled off final octave just dropping the headroom slightly but in a tasteful manner. This a presentation that really works really well with EDM, R’n’B and pop more than complex arrangements and mid-centric hard rock. The F5 presentation is much better than I expected with good control and instrumental positioning and more than decent imaging. I have reviewed a few titanium drivers before, one at this price point, the Nebula One springs to mind. This is a much more balanced listen than the Nebula One. Up to 50Hz, the sub-bass falls away a bit though it is not completely lacking, just more on the polite side than the powerful rumbling side. It has more of a sustained elevation from 50Hz to 100-150Hz then it takes a long slow linear drop to the lower mids and mids around 1k. As such you get a reasonable low-end extension and some sub-bass presence but you also get a touch of mid-bass warmth mixed in there before the linear drop. I also would not define the bass of the F5 as bloated and slow, it is reasonably controlled and tight, just not the most impactful to satisfy bass heads. As such the F5 low end is relatively coherent sounding adding some decent PRaT and bass fundamentals to lower register instrumental notes but it may not be suitable for deep resonating power from the likes of synth wave spectaculars such as Dynatron or Daniel Deluxe. There is a progressive linear dip from 150Hz down to down to around 1k allowing a bit of welcome instrumental clarity and space from the F5’s bass and preventing bass bleed. Instrumental positioning though up to 1k is slightly behind higher pitched vocals so they do not generate huge power and presence though by no means sound washed out or lacking in weight. Higher pitched female vocals have more presence and forward positioning than deeper register male vocals with that boosted 1-3k range. Certain percussion passages do lack a little bite with a slightly sucked out upper mid-range and muted lower treble transition from 3-5k. Instrumental timbre is reasonably accurate with a slight hint of warmth from the low-end creeping into the lower order harmonics but otherwise a fairly natural sounding quality with very little in the way of sharp overtones. Detail is a little lacking but nothing I would find overly surprising at this price point so safe to say do not push it in unbalanced mode with complex mid-centric guitar arrangements with lower register male vocals as it tends to sound a little “samey”. If I am pairing with source music to get the best out of the F5 mids I would opt for tracks with a sparser mids arrangements and less low mid-presence to sound more convincing on the F5. Artists such as Major Lazer, Frankenmusik, and Ed Sheeran sounded cleaner and more engaging than say Five Finger Death Punch and Megadeth which struggled a bit more. Upper mids to Treble transition is a touch muted which takes the sting out of percussive passages. Sibilance is to a minimum though some might wish for a bit more bite, however, I never found them veiled, to be honest. Much like the lower mids, they sit a touch behind the higher pitched vocal performances in making their presence felt. There is a 5-7k bump but it’s nothing too stretched or peaky, adding more of a top end sparkle and preventing it from sounding shelved down. Beyond that, the brilliance region has a progressive roll off with minor bumps around 10-12k so it is not the most forward sounding of treble performance but there is enough articulation and energy from preventing it sounding overly dark or shelved down. People will find this a forgiving top end in single ended mode. Complete transformation with a well powered balanced output such as the Dx200 or the L3Pro. Dynamics for me are far more impressive with this titanium driver in a balanced setup. Much better snap and impact on the low-end with superior sub-bass body producing a better sense of depth than the single-end cable was capable of producing. Vocals are more vivid, particular higher pitched female vocals. The treble curve is unchanged but again the attack is a little cleaner, quicker sounding with a touch more energy and presence than before. If the single ended gives you fairly balanced and clean presentation that errs to the slightly musical and easy going side of things the balanced brings a lot more aggression, energy and snap. If you have the option to go balanced I would highly recommend you stick to the balanced cable, you get so much more from the F5. How does balanced 2.5 mm work? I take it you would need a DAP with a 2.5mm female? That is correct, or a dac and amp such as the Q1 mark 2.